It was a disappointing day for Formula One champ Lewis Hamilton at the US Grand Prix on Sunday at the Circuit of the Americas in Austin, Texas. A win would have wrapped up the title for a fifth time but poor tactics saw the British driver slip to third, just one place above Sebastian Vettel who remains Hamilton’s closest challenger. Watch below as Hamilton reveals just went wrong and allowed Ferrari‘s Kimi Raikkonen to grab a rare chequered flag. What is going wrong at Al Hilal and can coach Zoran Mamic turn it around? Lewis Hamilton came up short in his mission to win the world championship after he finished third at the US Grand Prix. Kimi Raikkonen won, his first victory in 113 races, ahead of Red Bull driver Max Verstappen who started 18th. Hamilton is now 70 points ahead of Sebastian Vettel, who passed Valtteri Bottas to finish fourth in the closing stages, with just 75 points remaining. Here, we look at the key takeaways from Texas. 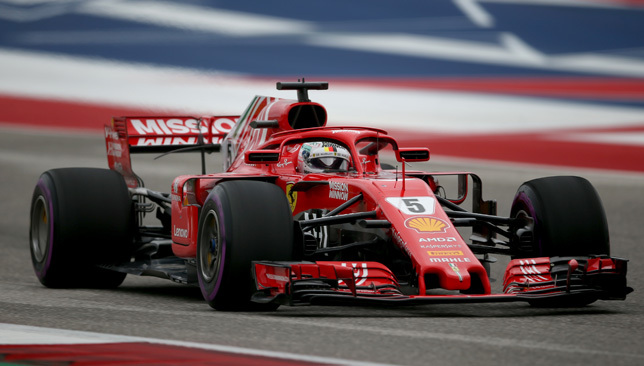 It was a weekend that started with plenty of promise for the Briton, but he will have to wait until the Mexican Grand Prix next week to clinch a fifth world title after finishing third in Texas. 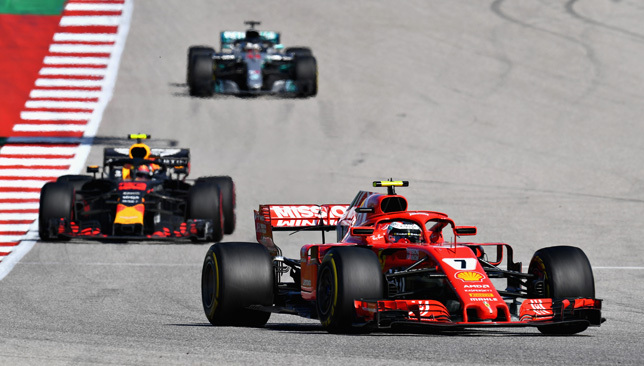 Starting from pole, he was overtaken on the first corner by Raikkonen, but stayed composed, pushing the Finn hard before seizing the lead on lap 22 when the Ferrari man pitted for fresh ultrasoft tyres. With his pace fading on lap 39, Hamilton was forced to pit for fresh softs and came out in fourth place. He continued to drive solidly, and with two laps remaining, attempted an overtake on Verstappen for second spot but was denied. Nevertheless, it has proved to be a majestic second half of the season for Hamilton who has looked virtually unstoppable, winning four out of the last six races since returning from the summer break at the end of August. All roads point to Mexico where it is likely that he will lift the world championship. What a performance from the Finn to end his 113-race wait for a first place. The 38-year-old, who started from second on the grid, secured his first victory since the Australian Grand Prix in March 2013. Victory proved sweet for Sauber-bound Raikkonen who will leave Ferrari at the end of the season after five years at the Prancing Horse. An eventful day for the German. Starting from P5, he overtook Daniel Ricciardo on the first corner, but spun causing him to rejoin the track in 15th place. He did work his way back up to fifth place and it took a late overtake on Bottas to push the title race to Mexico. But with 70 points separating him from Hamilton in the drivers standings, his chances of a fifth world title are all but over. Coupled with some poor team strategy and his own personal errors, the 31-year-old has simply faded in the second half of the season and he needs to be more consistent and clinical in 2019. It was another sensational performance from Verstappen to collect his eighth podium of the season. Starting 18th on the grid after taking on a new gearbox for the race, the 21-year-old soared through the field and was even two seconds off the lead with 12 laps remaining. 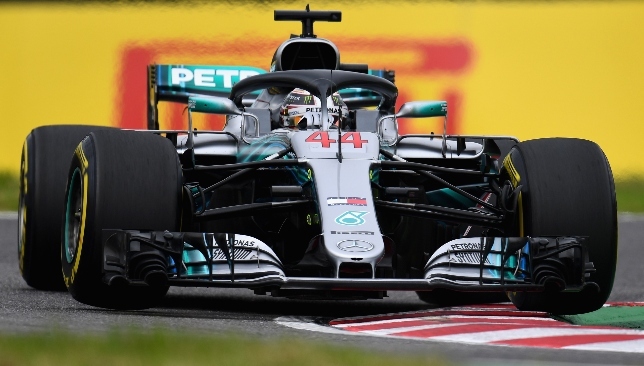 Still, it was a commendable second place for the Dutchman, who showed serious defensive skills to deny Hamilton an opportunity to overtake him with three laps remaining. In contrast, it proved to be another disappointing day for his team-mate Daniel Ricciardo, who retired on lap nine after power-unit failure. It is now the 29-year-old’s seventh retirement of the season – the most of any driver on the grid. With uncertainty over Esteban Ocon’s F1 seat next season, a formidable eighth place finish has again added some gloss on a difficult few weeks for the talented Frenchman. The Force India driver is clearly one of the most gifted performers on the grid, but with Lance Stroll taking his seat in 2019, he is currently without a place on the grid beyond November. Ocon though is too good to be left out of the sport, but unfortunately results and internal politics have gone against him this season. Williams reportedly want to sign the 22-year-old, but that depends on whether their budget allows them to. Lewis Hamilton completed one half of the job to secure a historic fifth World Championship by putting his Mercedes on pole position for the US Grand Prix. 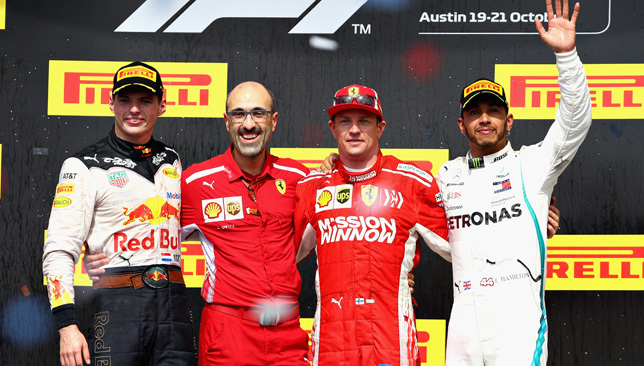 Hamilton will seal the title in Austin, Texas on Sunday if he takes the chequered flag and Ferrari’s Sebastian Vettel fails to finish second. 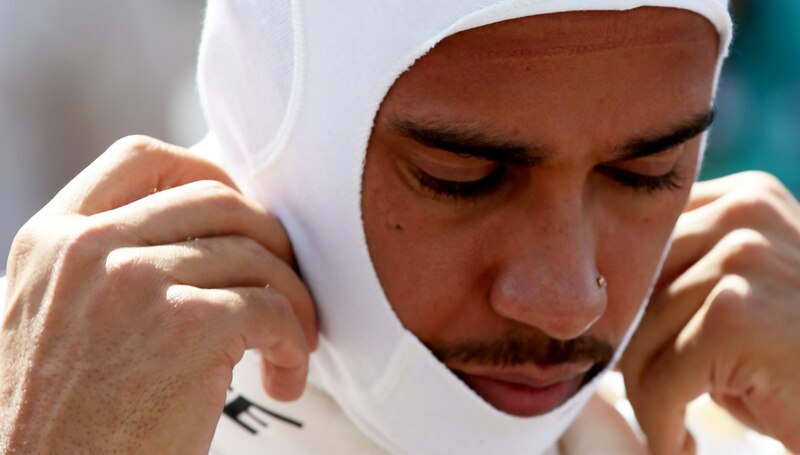 The German was slower only than Hamilton in a nail-biting qualifying session, but he will be demoted to fifth after incurring a grid penalty for his failure to slow sufficiently under red flags in Friday’s practice. Kimi Raikkonen will subsequently join Hamilton on the front row with the Briton’s team-mate Valtteri Bottas third. 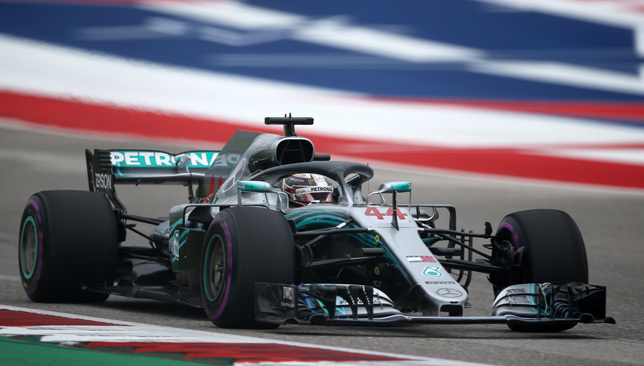 Mercedes did not appear to have the pace to beat Ferrari following the early phases at a cold and blustery Circuit of the Americas. But as he so often does, Hamilton saved his very best for last, edging out Vettel by just 0.061 seconds for the 81st pole of his career. “That was very important, and that was close,” Hamilton said. “I knew it was edgy between us and it was going to require solid laps. Vettel, who swore over the radio in frustration after discovering he had lost to Hamilton, added: “It was a bit of a shame that we missed out by that little time. Max Verstappen damaged his Red Bull on the kerbs at the exit of Turn 15 in the first qualifying session and played no further part. His rear suspension was broken and the Dutchman’s crew were unable to complete the repairs before the start of Q2. That was good news for Daniel Ricciardo, who has been out-performed by Verstappen in all of the 11 qualifying rounds since the Monaco Grand Prix. The Australian will start fourth following Vettel’s penalty. But there was bad news again for McLaren with both of their drivers falling at the first hurdle. The Woking team will be desperate for the season to end and so, too, will Fernando Alonso as his wonderful career fizzles out with a whimper. The two-time world champion, who has just four races remaining before he retires at the end of the year, qualified 16th with his team-mate Stoffel Vandoorne slowest of all. They will both rise two places, though, due to engine-change penalties dropping Toro Rosso pair Pierre Gasly and Brendon Hartley to the back of the grid.